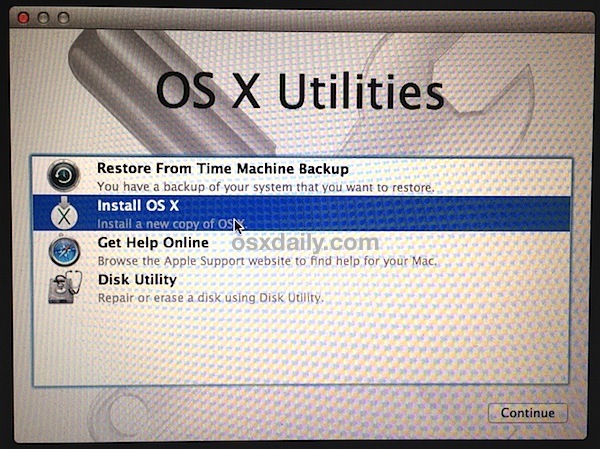 The default solution for installing OS X Mavericks is to download it free from the App Store and then perform an upgrade from a previous version of Mac OS X, whether that’s from Mountain Lion or Snow Leopard. Upgrades are fast, efficient, and most important, very easy, and that’s the recommended option for the vast majority of Mac users. Nonetheless, some users may want to start fresh with a blank slate, using what’s known as a “clean install” and that’s what we’re going to cover here. Performing a clean install can be desirable for a variety of reasons, from ditching years of built-up cruft on older Macs from many years of OS X upgrades, to troubleshooting difficult issues, to transferring ownership of a Mac to a new owner. The process of a clean install is not difficult if you follow these instructions, but because it involves formatting the Macs hard drive, it can result in extra work. Since the Mac will start with a clean slate, all apps must be downloaded and installed again, important documents and personal data must be manually transferred back over from backups, and system settings must be customized again. This typically makes it more appropriate for advanced users or for select situations (like selling a Mac), and thus it should not be considered a standard upgrade path to get to OS X 10.9 Mavericks. Warning: Performing a format and clean install of OS X will erase the Macs hard drive and all contents on the drive will be removed. All files, applications, documents, photos, customizations, everything on the computer will be lost in this process. Understand this and know what you are doing, and why, to prevent data loss of critical files. We can not reiterate this enough. 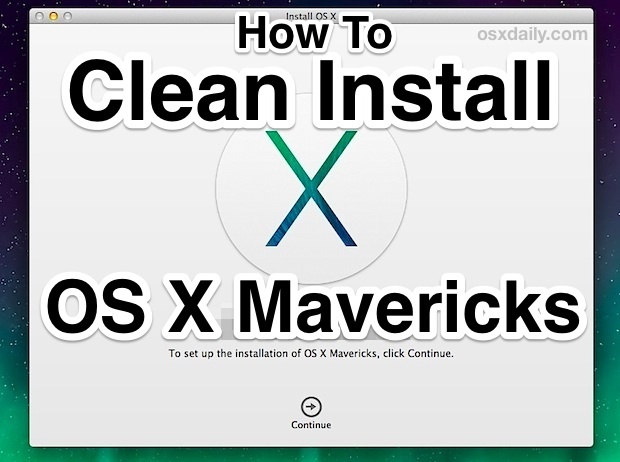 You will need a bootable OS X 10.9 installer drive to accomplish a clean Mavericks install using this method. You can learn how to easily create one here if you haven’t done so yet. 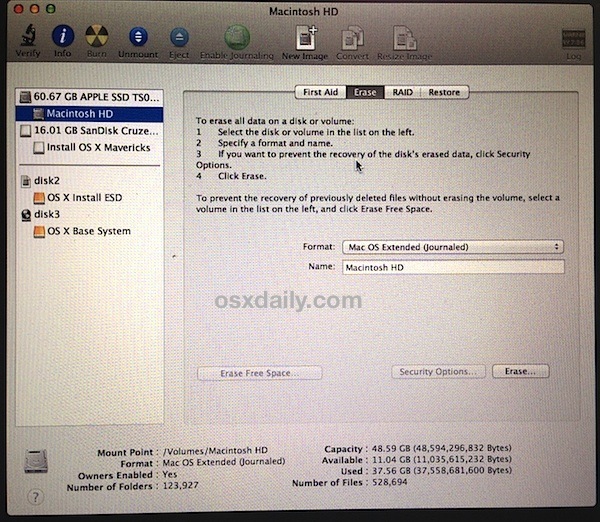 A clean installation of OS X Mavericks takes about 35-45 minutes to complete, depending on the speed of the install drive and the volume OS X is being installed onto. 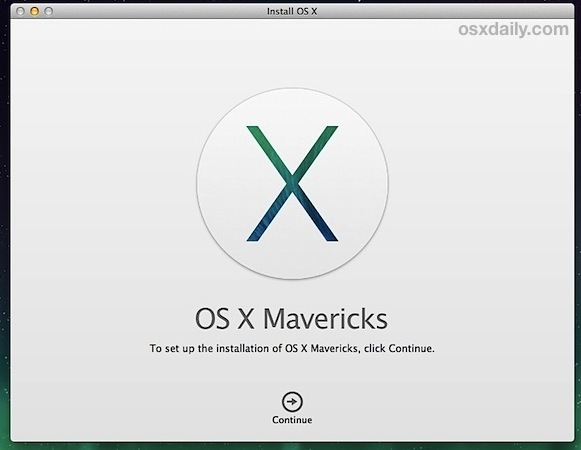 When Mavericks is finished installing, the Mac will reboot itself automatically and go through the initial setup process for OS X Mavericks. Register, create a user login, set the Apple ID and iCloud details, and you’re all done. You’ll boot directly to a very blank OS X installation, similar to the experience of getting a brand new Mac. A fresh OS X installation is very bare with just about nothing included outside of the core system and basic Mac apps (intentionally so), thus any custom applications or apps you had previously downloaded from the web or App Store will need to be downloaded and installed again. For apps from the Mac App Store, that’s fairly easy, but for third party apps you will need to access them independently through the developers. If you are keeping the Mac yourself, you will probably want to transfer your old data, documents, photos, and files back onto the Mac. This is a good time to access Time Machine to selectively restore certain files, or access backups made to network drives, DropBox, CrashPlan, external backup drives, USB flash disks, whatever your preferred backup method is and from where ever stored your data. If you’re new to Mavericks, don’t miss these simple tips to get you started with some of the great new features. For those who had problems creating a USB bootable device using Mac OS X Snow Leopard, I made a little app like Lion DiskMaker. 1) After downloading the Mavericks installer from the App Store, locate it in your Applications directory. 3) Replace previous hard disk with new one. 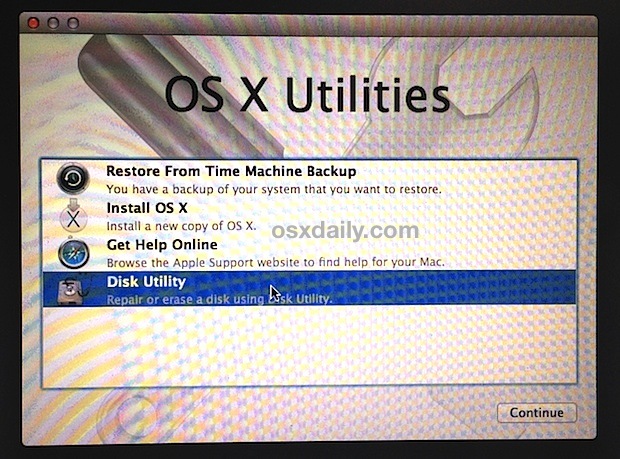 9) When asked on which Mavericks should be installed, selected your brand new formatted disk and wait until the complete installation is performed. 10) You can then re-populate your new HDD with your previous data from your previous HDD now in the USB Enclosure. I just wanted to share this experience with other OS X users. This alternative way worked for me from Lion to Mavericks. Do it at your own risks. Be cautious when replacing your hard drive and when doing your formatting/partitioning. I got everything to work, I got the USB all set as in the tutorial though it doesn’t let me do anything when I’m in the “OS X utilities” after I’ve started the computer while holding the option key. It doesn’t respond more than that I can move up and down through the choices, I can’t press continue. Fresh install of Mavericks happening as I type this comment! People if you follow all directions carefully including spell check when creating boot disk all will work!! Thanks for for all the great info! Worked fine. Follow exactly, no change needed apart from your bootable disk name. Thanks..!! From the menu bar, start Terminal. This solved my “corrupted” mavericks install disc anyway! THis Date Command saved me!! I had spent almost a day trying to redownload the installation files on windows…and making it bootable after wiping my HDD clean.. and all…. Hi and thank you for this helpful guide. I did all steps without problems and now I have my mac successfully running Mavericks. Before starting I did a Time Machine backup, as suggested, and now I would like to restore some important files from that backup. I am not able, though, to access selectively the files (they seems all alias), neither through Time Machine (blank windows). Can you please explain how to do this the right way? 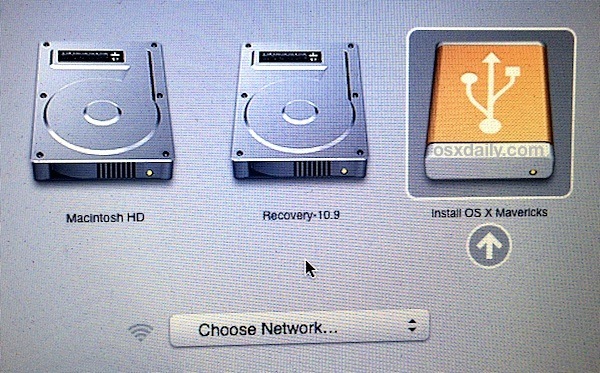 “quit out of Disk Utility to return to the normal boot menu” does not ever return to the normal boot menu. It always dumps me to a blank screen with a mouse and that’s it.